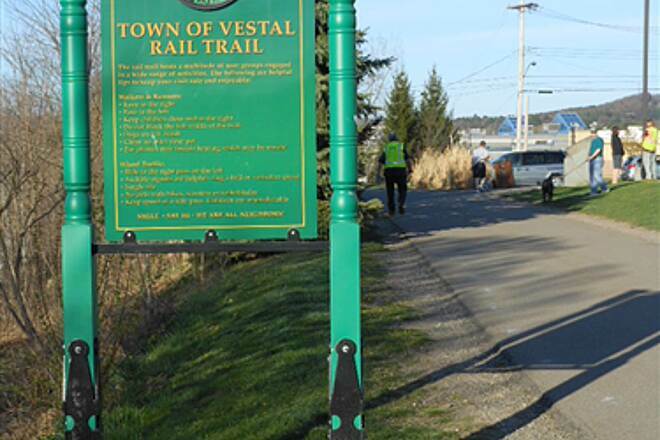 The Vestal Rail Trail runs for nearly four miles through the town of Vestal along an abandoned right-of-way once used by the Delaware–Lackawana & Western Railroad. 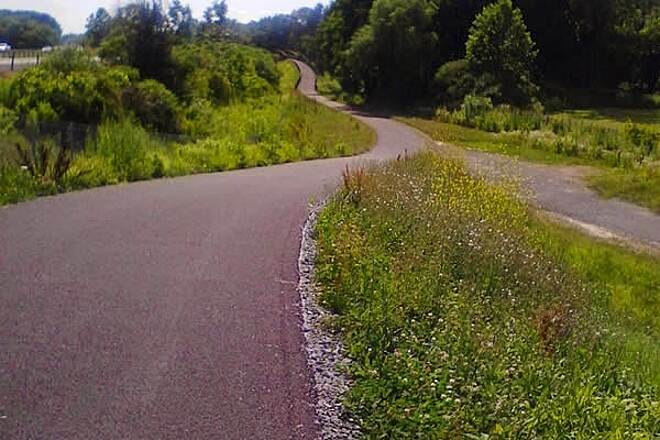 Today, the 12-foot-wide trail is paved for bicyclists, inline skaters, and wheelchair users (the trail is fully ADA accessible). 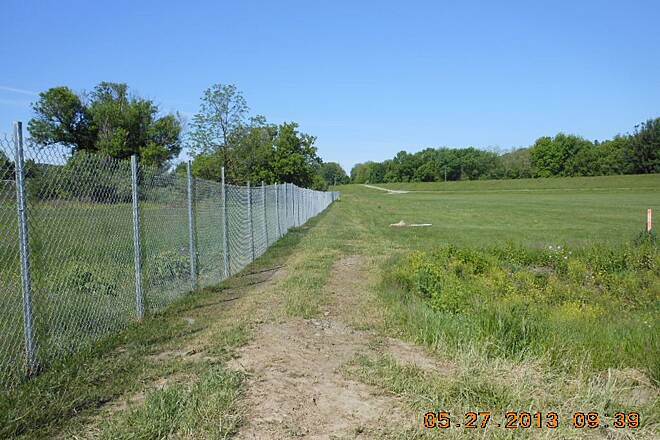 An 8-foot-wide unpaved surface runs adjacent to the trail for walkers and joggers. 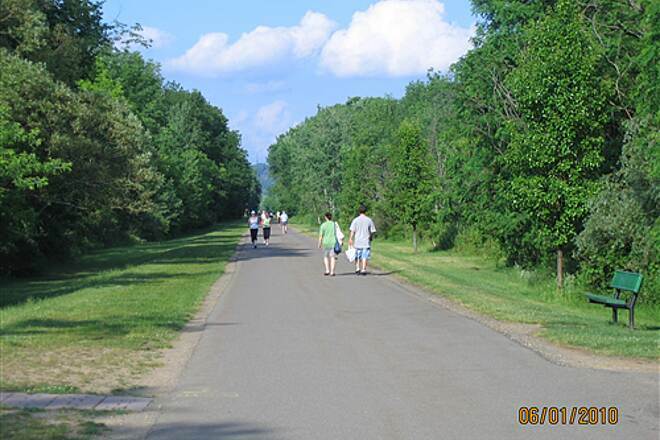 On its eastern end, the trail offers access to the sprawling shopping and dining complex of Town Square Mall. 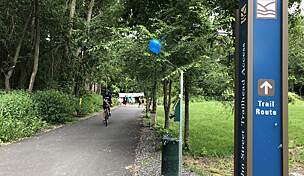 As it heads west, the pathway parallels Vestal Parkway, but a thick barrier of trees shields trail-goers from the noise and sight of traffic. 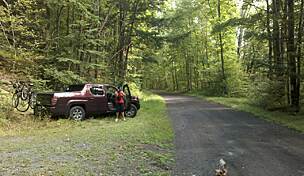 A parking lot is available at the east end of the trail on African Road and near the middle of the trail on Stage Road. Been biking again for a couple years. 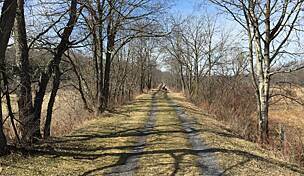 The Rail Trail's most positive draw it's generous width & it's people, friendly and courteous overall. 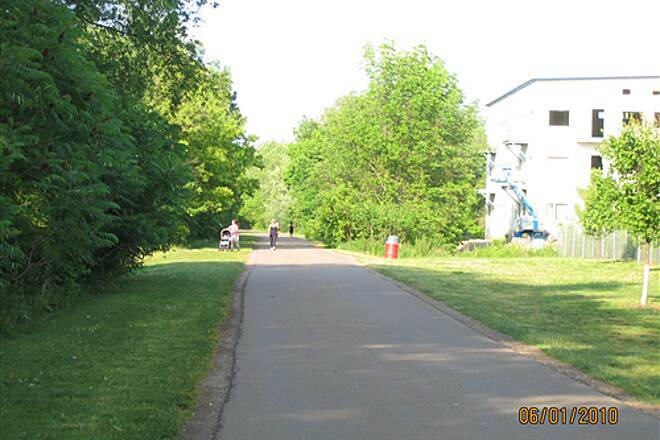 The trail is clean and well maintained. As expected, it is straight and views are the backs of buildings, but that doesn't make it uninteresting. 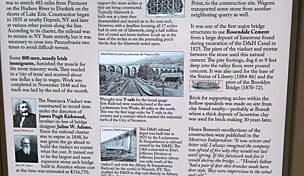 The Coal House is historically beautiful & the west extension is a lovely more scenic addition! My wife and I walk this trail almost weekly. 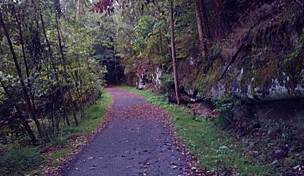 It's a very popular trail for walkers and joggers but it's a bit too short for biking in my opinion. 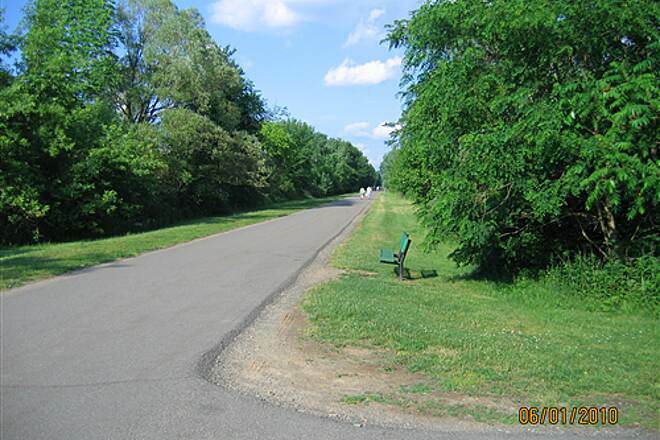 Pros: Very well maintained blacktop for the entire 3.8 miles. 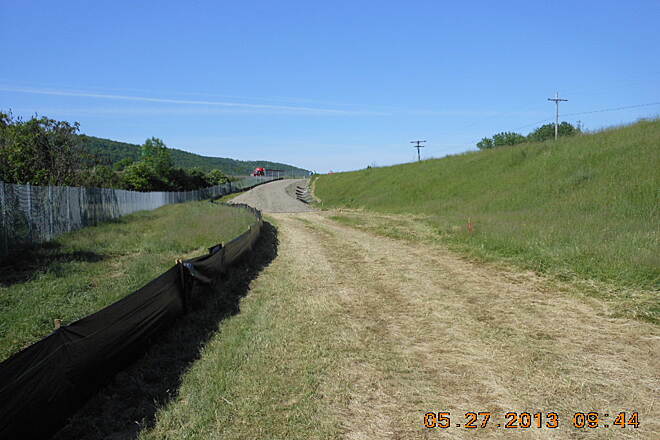 They keep it plowed in the winter so it's usable year round. Keep in mind though, there may be some icy spots on the cold mornings in winter. Well maintained restrooms at the east end. 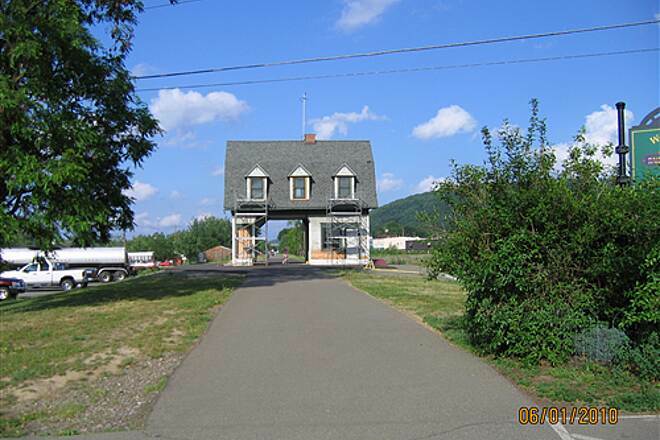 Restroom and small restaurant(The Coal House) at about the half way point. Parking at each end and at the half way point. 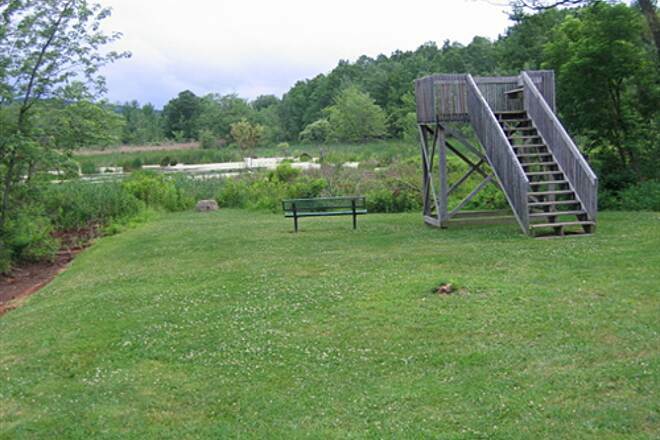 Nice side nature trail that has an observation deck overlooking a wetland. 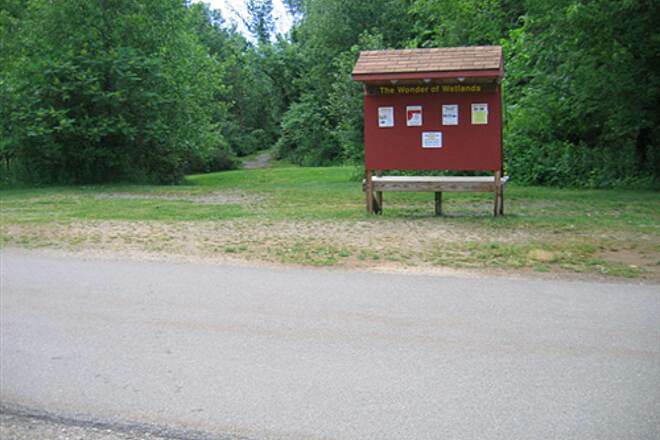 Other small restaurants (Subway, etc) along the way are visible from the trail and easy to access. Mostly flat with a few small hills. 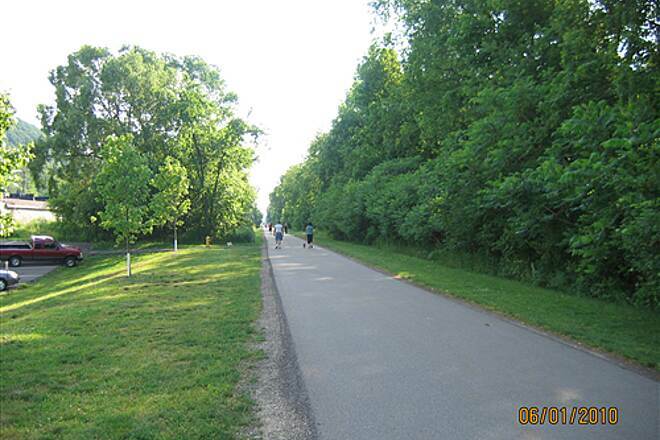 Cons: Too short for a bike trail and there are numerous signs posted saying 10mph speed limit. Not particularly scenic since it goes through town. Pretty noisy, it runs right near routes 434 and 17 so you'll hear a lot of car and truck traffic. 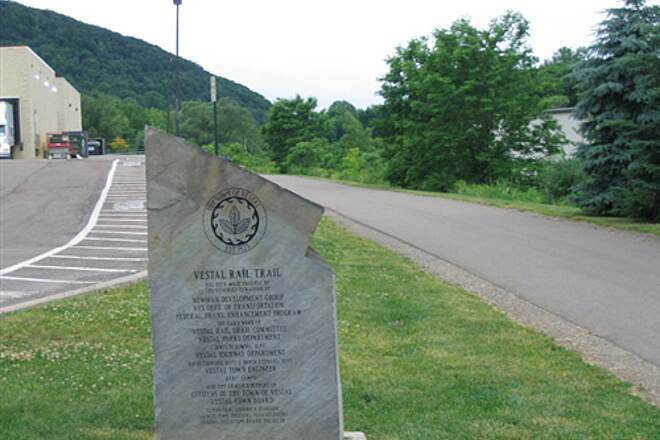 First 2 miles of trail were great, well maintained and the coal house at its start was rather neat. But when I got to mile 2 the trail just ended at a street with no directional signs where it continued. I ran left, I ran right and could find no continuance of the trail as far as a 1/4 mile in each direction. So I ran behind Lowes, Walmart and SAMs hoping I would find the trail at the next intersection. Repeated my left and right search but to no avail. 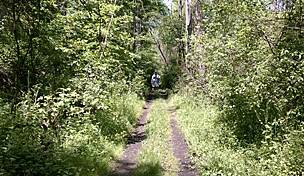 So either the path is only 2 miles long or it's continuance is well hidden. I live in a quiet neighborhood that has been overtaken by rude bicyclists, walkers and joggers. I bought my house in this particular neighborhood because it was safe and quiet; one way in and out. 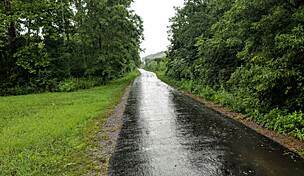 Since the town has decided to extend the rail trail, I know have people walking, biking and running in the middle of my road to where I have to beep for them to move to one side or another. People stare into my backyard and littler all along our streets. Be respectful people! I know exercise and being healthy is important but so is respect. Please stop coming into our neighborhood and ruining it for us residents. 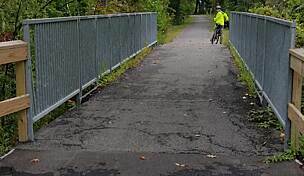 Before the extension was added on this summer, the trail was only so-so for bikers. It was straight, flat, and only 2.5 miles round trip. 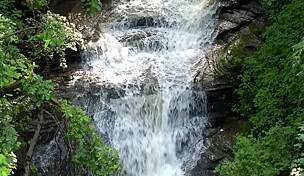 However, the extension makes the trail a 7 mile round trip, plus it adds inclines that the old part of the trail does not offer. 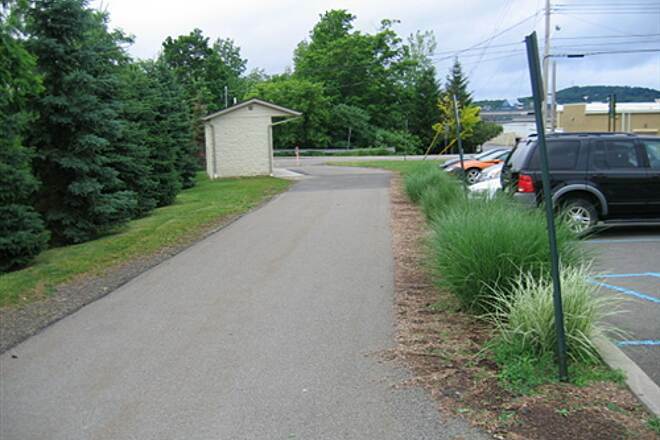 It ends at a quiet residential neighborhood, which offers an opportunity to bike further if you wish. To get to the extension, you have to cross N. Main Street at Stage Road, then go down the road a bit to the extension entrance right before Muench Orthodontics. The clearly marked crosswalk at Main and Stage makes this transition from old trail to new very pedestrian-friendly. The extension makes the whole trail a great bike workout. It starts out flat and easy so you can warm up, then it gets more challenging at the extension with its steeper inclines. 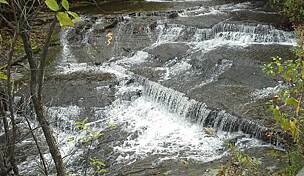 Then you can can cool down at the end when you pass through the flat part of the trail again. All the while you can take in the beautiful scenery and wildlife around you. It's like a pocket of paradise right next to the busiest part of town. The doggies are on leashes, but some of them are allowed to run with the leases on and disconnected to the owner. I had a couple of dogs tied together wrap their leash around my legs as I stood in terrior of the big dogs. The owner was rudely casual about the whole thing. 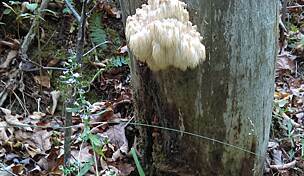 There were a number poops along the way, on and just off the trail, also. If your kids like to walk in the grass alongside of the trail in the summer, I suggest you re-think that also, as the yellow snow will show, the doggies are doing alot of business alongside the trail. Is this trail meant for humans or doggies?? Good news! 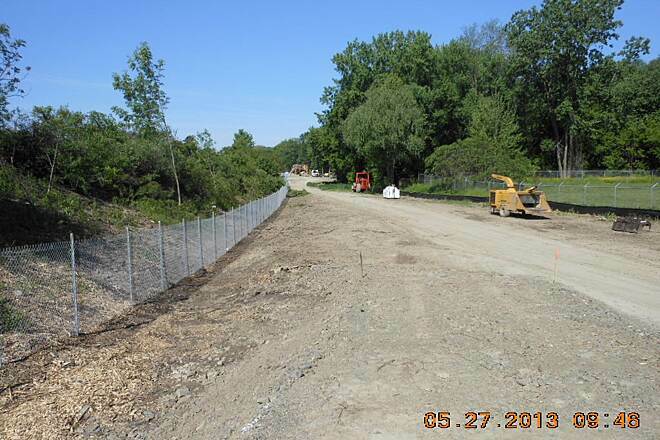 Construction of a 1.8 mile extension of the trail began in Spring 2013 and should be completed by the fall. 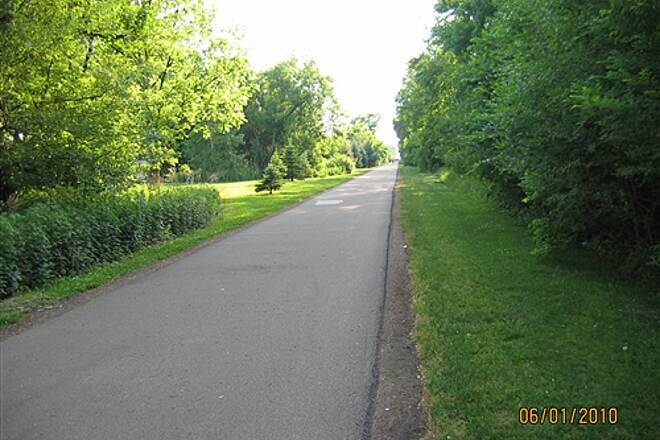 This trail is one of the most used town park facilities in the area. Dogs permitted, on leash only. Please take a doggie bag and keep our trail clean. Also, beginning in 2012, a small coffee shop operates out of the old Coal House at the west end of the original trail. 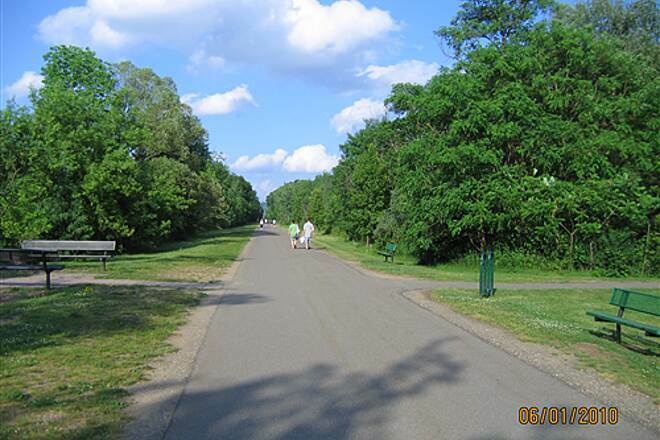 This is a very popular 2 mile trail for locals out for a stroll, roller blading, casual biking, dog walking. Numerous benches along the route. 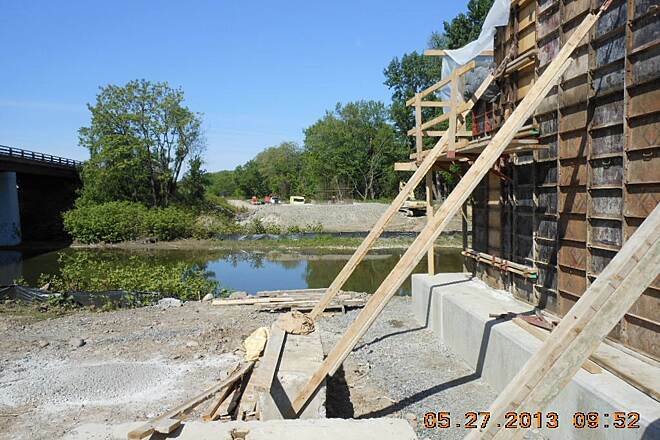 There is also a 1/2 mile long nature walk which loops around an adjoining wetlands, with a bird platform observatory. 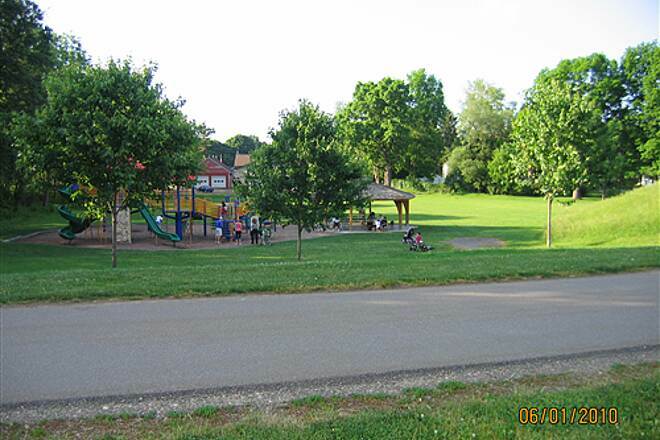 Trail runs past Twin Orchards Town Park and playground. Nice family area. Ample parking at either end, with shops in close proximity. 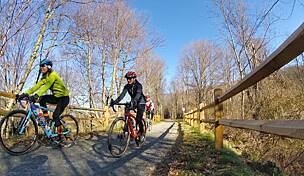 Plans to extend trail further west are under review.